DiffPy-CMI is our complex modeling framework. It is a highly flexible library of Python modules for robust modeling of nanostructures in crystals, nanomaterials, and amorphous materials. The software provides functionality for storage and manipulation of structure data and calculation of structure-based quantities, such as PDF, SAS, bond valence sums, atom overlaps, bond lengths, and coordinations. Most importantly the DiffPy-CMI package contains a fitting framework for combining multiple experimental inputs in a single optimization problem. This is an early release of code that is under intense development, with support for installation on Unix, Linux, and Macintosh machines. The scope and documentation of the project will evolve rapidly, but we want to make the code available at the earliest possible date. Please make use of the software and provide feedback and suggestions for improvement, but please be patient and check back frequently for updates. Use of this software is subject to the conditions in LICENSE.txt. As of version 2.0 DiffPy-CMI is available for Linux and Mac as a collection of packages for Anaconda Python. As a first step download and install Anaconda for Python 2.7 from https://www.anaconda.com/download. If you already have Anaconda for Python 3.5, create a separate Anaconda environment py27 which will provide Python 2.7 instead of 3.5. Make sure that py27 environment is activated when working with DiffPy-CMI. If you don’t want to use Anaconda you can install DiffPy-CMI from sources. Note that this method takes more time and requires more experience with the operating system. Documentation for packages developed by the DiffPy team is available at the links below. 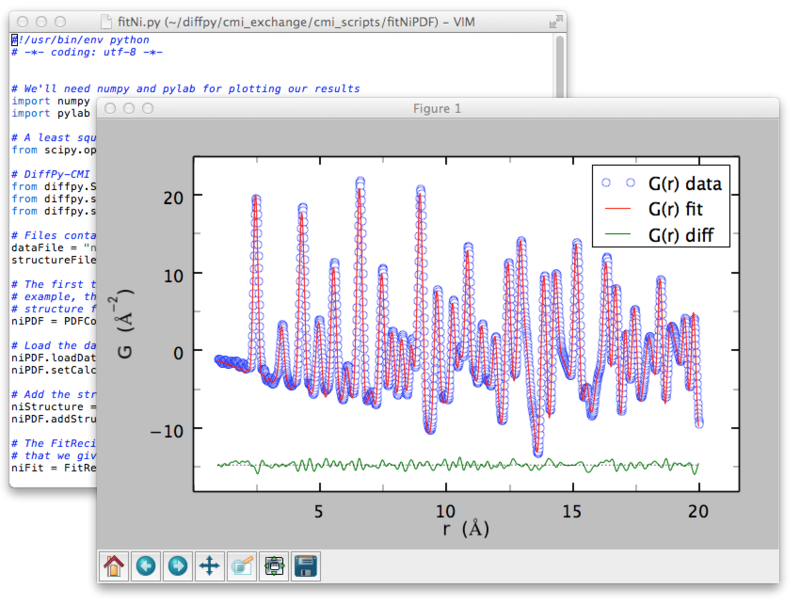 diffpy.srreal – calculators for pair distribution function, bond valence sums, etc. See DiffPy-CMI contents for a complete list of open-source libraries that are included in DiffPy-CMI and their respective project pages.